I’ve talked before on this blog about how politicians on both sides of the aisle in the U.S. have been employing the discourse of “grown ups.” In particular, Peggy Noonan – a prominent conservative columnist at the Wall Street Journal – has repeatedly called upon (her own) Republican party to “grow up,” most recently in her analysis of why Sarah Palin was bad for the Republicans. But the “grown up” discourse is not just prevalent on this side of the Atlantic. Over in Great Britain, a new “grown up” discourse is also emerging, only this one is directed at the Center-left Labour Party. As the Tony Blair-Gordon Brown era appears to be coming to an end, columnists here are calling upon the emerging leadership in the Labour Party – the so-called in-betweeners – to stand up and make themselves heard. It’s still not clear whether this charge will take hold within the public imagination, but I find it interesting to see the parallels in political discourse across these two countries. 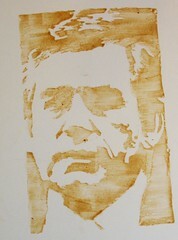 Image: Gordon Brown Sauce by Rakka via Flickr under a Creative Commons License.